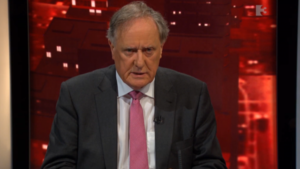 Vincent Browne discussed the matter with his panel on TV3’s Tonight With Vincent Browne last night. 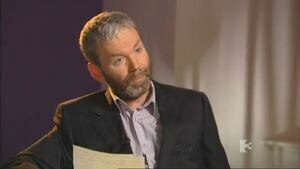 The panel included Irish Examiner journalist Michael Clifford, who last week reported that Ms O’Sullivan’s senior counsel Colm Smyth told Justice Kevin O’Higgins – during his Commission of Investigation into Sgt Maurice McCabe’s complaints – that McCabe told two officers he was acting out of malice. 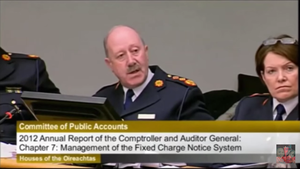 The allegation was proven to be false after Sgt McCabe produced a recording of his conversation with the two Gardai – and the episode wasn’t included in the final report. The documents show that, at the commission, Mr O’Higgins asked the commissioner’s lawyer whether “you are attacking his [McCabe’s] motivation and attacking his character”. He told the judge that he was acting on instructions. 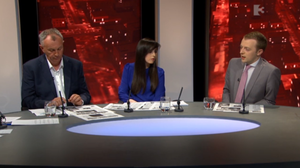 This morning, Mr Clifford reported that after he received a draft of the O’Higgins report, he threatened to get an injunction against the publication of the report – because the episode wasn’t included. 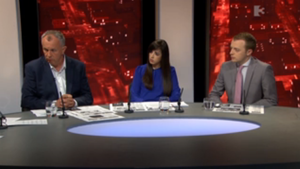 Colette Sexton, of the Sunday Business Post and Gavan Reilly, of Today FM were also on the panel. Posted in Misc and tagged Maurice McCabe, Michael Clifford, Noirin O'Sullivan, Vincent Browne at 10:19 am on May 17, 2016 by Broadsheet. O’Higgins should never have been chosen for this inquiry considering his familial connections to Fine Gael and An Garda Siochana. In a real democracy, this would never stand up to scrutiny. “He is “steeped” in Fine Gael, according to former Law Library colleagues. Mr Justice O’Higgins is a first cousin of the late Fine Gael politician Tom F O’Higgins, a former chief justice, whose father Tom is regarded as the “founder of the blueshirts”. but I thought the Indo was a fine Gael mouthpiece? Why do you think that Harold? Read it on here a lot. I think it’s a rag but it’s always highly critical of FG when I read it. What on earth are these Commissions of Inquiry for? The have all the paraphernalia of the justice system. They’re usually run by judges or senior counsels. They hear evidence. Lawyers for various parties get involved. Conclusions are reached. But they have one big difference from the criminal justice system. Courts command respect: inquiries don’t. Courts hear arguments and consider evidence and then a verdict is delivered. And everyone abides by that verdict. We all know miscarriages of justice happen from time to time, and we all know that the people involved sometimes make a balls of things. So the system is always open to scrutiny and we take nothing for granted. But basically no-one wants to live in a society without a criminal justice system so we accord it a level of respect and we take it seriously because the alternative is appalling. But no-one respects a commission of inquiry. The report comes out and everyone keeps arguing and seeking injunctions and criticising the report and the commission. Nothing is settled. No-one is happy. Unless they find a single paragraph which backs up their own position and they blather on about that in the knowledge that no-one will ever read rest of the bloody thing. I might be wrong but I don’t think anything was revealed by the O’Higgins Commission that we didn’t already know. Except that certain lawyers made very serious allegations which they couldn’t back up. And the only reason we didn’t know that before the Commission is because it happened during the Commission. And then O’Higgins left it out of the report. You’d almost think these Commissions were designed to look like a serious and credible part of the justice system, as long as nobody looks too closely. To make you think justice had been served. For some reason. Nailed it in the last bit, like a boss! It is that straight forward, IMO. Except that certain lawyers made very serious allegations which they couldn’t back up. They could back it up all right.. they had written notes from meetings held with McCabe. Fabricated lies of him saying he was acting out of personal malice.. Unfortunately for them McCabe had recordings of the meetings to refute these written notes. 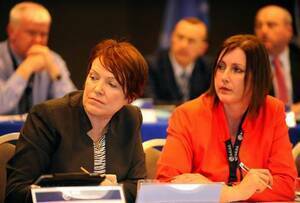 Are we going to get an explanation at all from Noirin O’Sullivan about these fabrications at the inquiry? I don’t care how she now feels deep down about the man… what about the instructions her counsel were given, about what turned out to be complete fabrications at the inquiry? This is corruption at the highest level and she’s saying she can’t comment. This isn’t good enough. The bunch of fupping swines were caught rotten… and the best they can come up with is, to say we never felt that way really, and we can’t comment. Were these two officers acting alone or under instruction in producing these notes after meetings with McCabe falsely claiming McCabe said he was motivated by personal malice? If they were acting on instruction, whose instruction was it? At what level are these orders coming down from? Are these two officers going to be interviewed even? In what sense should they to be protected from making these false allegations.. that ‘their evidence should remain private’? It’s out in the open now.. so an explanation sil vous plait. 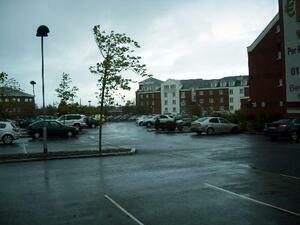 Curated by Vanessa for Frilly Keane on Staying In Tomorrow?